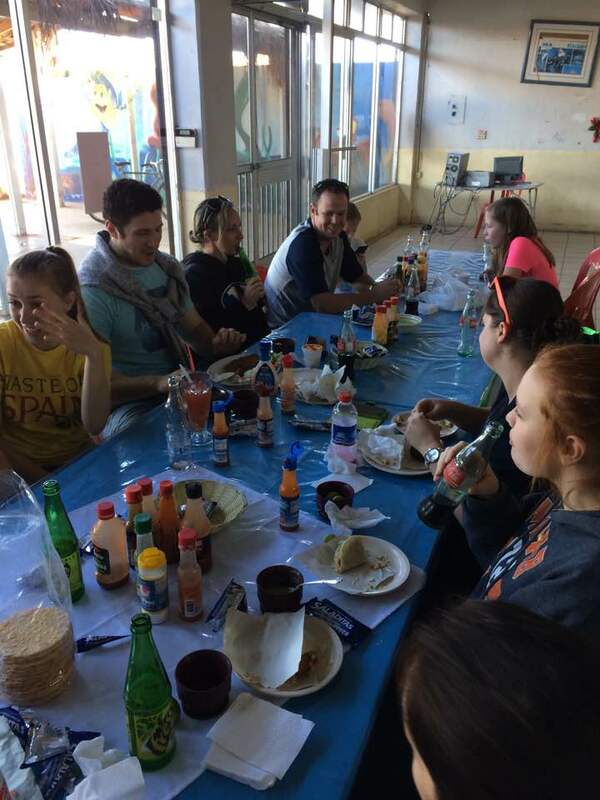 Over the years, the Roberts had a handful of favorite places to eat in San Quintin. Their most favorite place was a small stand that only serves fish tacos. The owners are never sure what type of fish they will serve. They sink their nets in the ocean in the morning and serve up whatever they catch. They typically catch small sharks, and the Roberts all love shark tacos. On this day, along with the sharks, they caught an octopus. So octopus tacos was added to the menu. 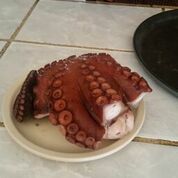 No one was really impressed with octopus tacos. Karen and I have an aversion to most fish. So we went off to our favorite taco shop just down the street. After we finished our lunch, we drove back to the fish taco stand to mingle with the rest of the group. To our surprise, sitting among our group, with a big plate of fish tacos, was Armando. He was walking by the taco shop and noticed the Roberts family. So he came in to visit. The Roberts insisted he stay and eat. Armando gladly accepted. When Karen walked in, they both lit up with joy. Karen asked where Jesus was and Armando explained he was out in the fields working with his dad. Karen noticed that Armando was shivering from cold, even though it was 65 degrees outside. The locals are not used to weather under 75 degrees, so they bundle up for snow when it reaches 65 degrees. Armando had no coat. 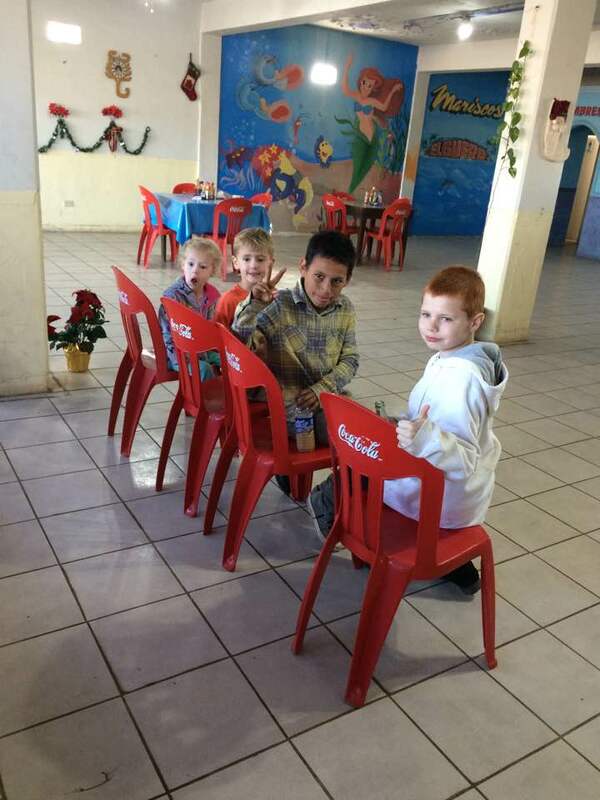 Karen gave him 50 pesos and told him to give it to his mom so he can get a coat. When he was done eating, Armando left in a flash without really saying goodbye. But that is the nature of young boys, we thought. A few minutes later Armando returned to tell us his Grandma wanted us to come visit. He said she lived nearby and he would take us there. So Armando got in our car. Justin and Lee followed us down into the muddy swamp to some unknown location. When we arrived, we noticed that this was a very, very poor family. But they were happy to see us and very glad to be investigating the church. We visited for a few minutes but we had to get back to start our food delivery. Karen said goodbye once again to Armando, but she already knew we would see him again. Karen arranged to set aside one set of food items to deliver to Armando’s family.